U. Görtz, S. Orlik, T. Wedhorn, S. Müller-Stach. 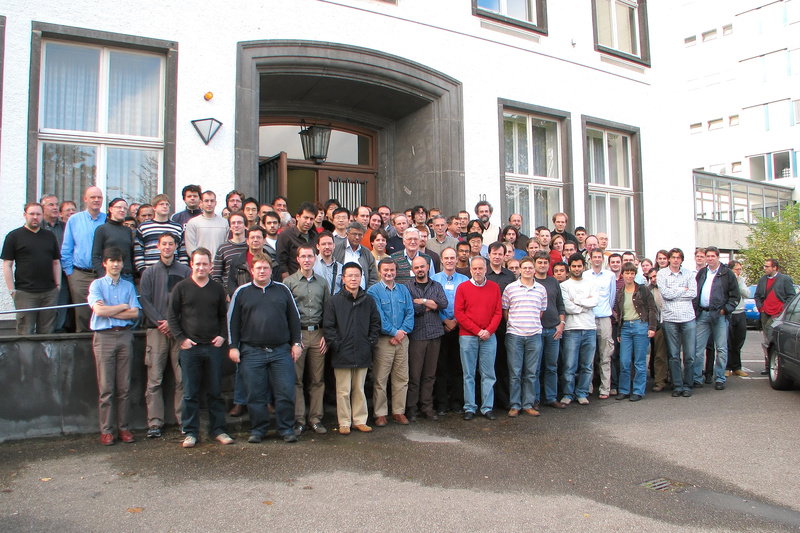 The conference is an activity of the Sonderforschungsbereich SFB/TR 45 on Periods, Moduli spaces, and Arithmetic of Algebraic Varieties (Mainz/Bonn/Essen). The conference will take place at the Mathematisches Institut, Wegelerstr. 10. (Marked on our map by a red marker with a black dot. Click the Hotel markers button to zoom in appropriately.) Further local information. September 30, 2008 We were able to reduce the fees for the conference dinner (now: 20 EUR per person) and for the boat trip (now: 10 EUR per person). For students, the conference fee will be only 10 EUR (for post-docs and professors it remains at 20 EUR). September 26, 2008 We have added a page with local information, such as a map which you can print, information about public transport, etc. We also have some suggestions what you can do in Bonn in your spare time. September 2, 2008 We have posted a provisional schedule of the conference, with those titles of talks which are already available. May 23, 2008 We have made decisions about all funding requests we received until April 20. We expect to be able to decide soon about all applications that were sent after this date. Further details about hotel accomodation and the social program will appear shortly on the web site. We produced a conference poster; today we received the copies from the print office. If you would like to post one at your department, just drop us a note. You can also download a pdf: high (~ 5MB), low (~ 1MB) resolution. Click the image for a larger png version. 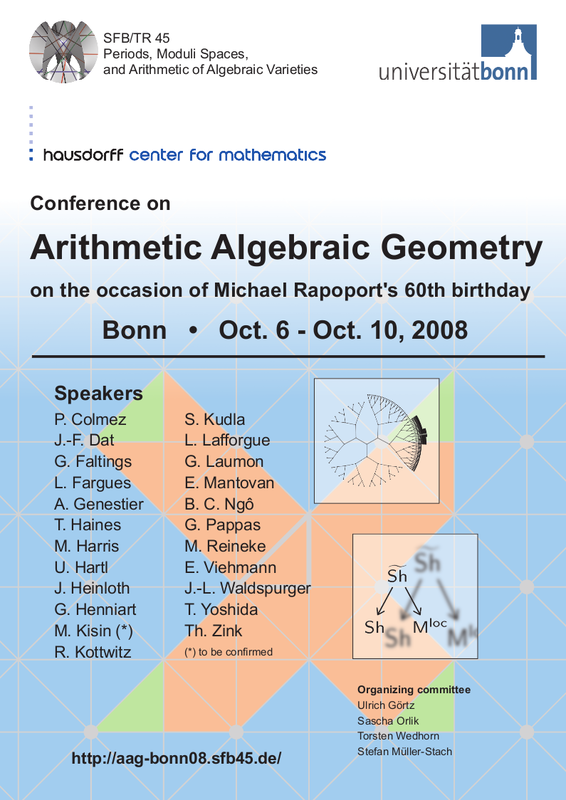 Oct. 19, 2007 The Hausdorff Center for Mathematics agreed to support the conference both financially and logistically, which will be very helpful.